No frills, no fluff, no commissions. As fee-only financial advisors we provide objective advice without influence from commissions or referrals. Our financial advisor services range from estate planning to insurance planning with an expertise specific to wealth management. Learn more about the difference between fee-only financial planners and commission based financial advisors. With over 20 years experience in wealth management, our financial advisors are not only certified and associated by the most recognized organizations and accreditations but have proven, real world experience as financial services professionals. As fee-only financial advisors, our company provides financial advisory services and objective advice without influence from commissions or referrals. Our financial advisory services range from estate planning to insurance planning with an expertise specific to wealth management. Learn more about the difference between fee-only financial planners and commission-based financial advisors. Headquartered in Salt Lake City, TrueNorth Wealth provides the best-rated local financial advisory services to families across Salt Lake County and all of Utah, helping you plan for college, retirement, and everything else in between. Our approach to financial planning is simple. We utilize fee-only financial services only. That means we aren’t driven to sell you on products or services simply for a commission. Our financial planning approach is based on two simple goals: (1) Full transparency in the all-too-often opaque market. We love to teach, and we want you to understand the decisions behind your investments. (2) Logical and savvy investment methodologies. We pride ourselves on an academically sound financial planning approach. Wealth Management Planning — As a comprehensive approach to improving your financial situation, our financial advisory services can help you take control of your wealth and wealth distribution while helping to map out your financial future. Estate Planning — Estate planning not only allows you to avoid unnecessary taxes, court costs, and attorney fees, but it also removes the burden of organizing your estate from the shoulders of your loved ones. Investment Planning — Investment and retirement plans go hand-in-hand, as investing is one of the primary means by which successful retirement is possible. We utilize only highly available, registered funds from investment firms whose philosophies match our drive for high performance. Retirement Planning — We assist clients at every stage of retirement and distribution planning, building client wealth and effectively guiding wealth distribution during your retirement years. Insurance Planning — Even the grandest plans can go awry. A well-designed insurance plan helps ensure you are covering your assets without purchasing more insurance than you really need, all the while maintaining the peace of mind that you and your family require. Income Tax Planning — As your wealth grows, planning your income taxes becomes more complex. We do not prepare your tax return, but we do give it a thorough look to ensure that you’re minimizing your tax burden. 401(K) Solutions — If you are a business owner, we can help you craft the best plans for retirement and 401(K) packages to meet the needs of your employees. College Savings Plan — Saving for your kids’ college can be expensive, especially nowadays. With our financial advisory services, we’ll help you put together a plan to start saving for college, so that you will be well prepared when the day finally arrives. At TrueNorth Wealth, our goals start with your family’s dreams. 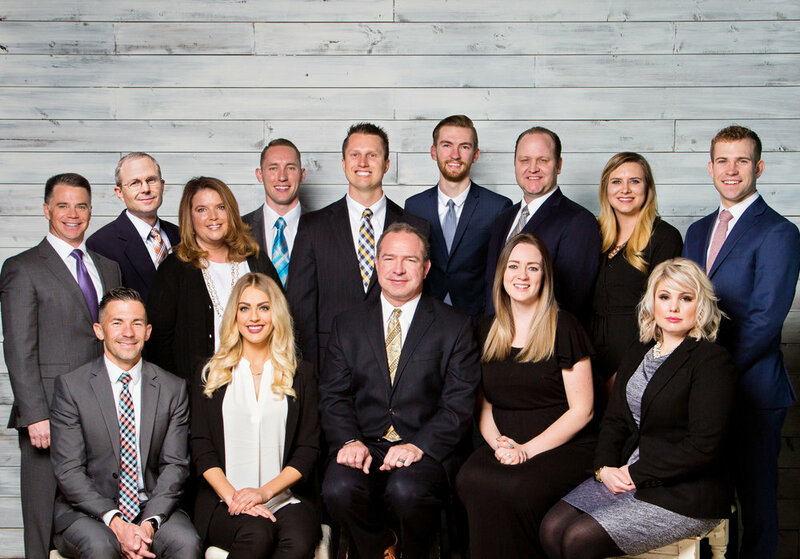 To get in touch and speak with the best-rated financial advisors serving local communities here in Salt Lake County, Utah, feel free to give our team a call today!